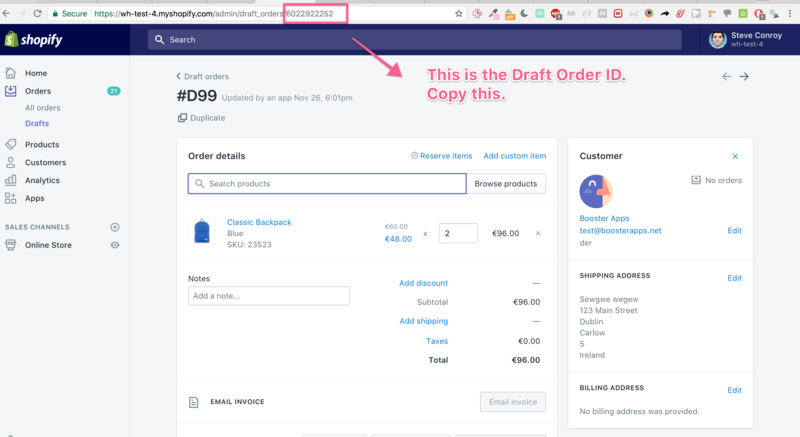 Due to Shopify limitations - If you have over 250 draft orders you will have search for a draft order by ID. Please navigate to a draft order and copy the ID as follows. 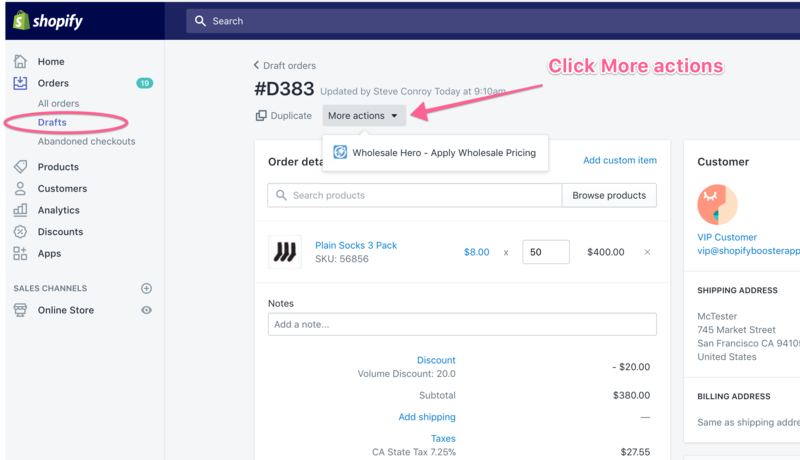 Back in the Wholesale Hero app - Paste the ID into the search box on the draft orders page and click "Go to Draft Order"
This will now take you to the draft order page within the app.